Lift. Fight. Win. – Mediocrity is the killer. The press is the most ego-crushing of the basic barbell lifts. The combination of the long kinetic chain and the fact that the relatively small muscles of the shoulders and arms are doing the job of locking the bar out, while nearly every other muscle in the body stabilizes the position and the load, makes for a lift that’s technically challenging and difficult to progress long term. The press also presents some unique challenges to the coach as well. There are lots of “moving parts” that require a sharp eye and the ability to cue effectively in order to get the most efficient movement out of the lifter. The coach must watch the knees, the angle of the forearms, wrist position and how these things and the bar path are affected by the hip movement that starts the press. Cues must be given at the appropriate time to produce the best result in a lift that is very tempting to give up on if things don’t go well right from the beginning. Presses that aren’t missed due to just being too heavy are typically missed because the bar has gone forward from a straight vertical bar path, or because the lifter has failed to get forward under the bar to complete the lockout. A common cue given by coaches is to tell the lifter to “press back” toward the lockout. This is perhaps a good piece of instruction, but is rarely an effective cue during the lift. At every strengthlifting meet and in gyms everywhere, there are coaches yelling “BACK!” as the lifter starts to press – they know that the lifter has a tendency to not get under the bar soon enough, resulting in a grinding rep that ends in a miss. “BACK!” is a cue that everyone uses but rarely works, because they are using a bar cue when they should be using a body cue. The lifter can only do one thing at a time to the bar: once the lifter has started pushing up on a heavy rep, he is unable to distinguish between pushing up, forward, or back. If he were able to make the distinction, letting the bar go forward would be a far less common issue since most people would be able to correct it easily. The lifter just wants to get the bar up to lockout, and he will push as hard as he can to get that done. The slower and harder the rep, the more he loses the ability to adjust the horizontal position of the bar. So, given that the lifter will push – something that’s done with the arms – as hard as he can to get the bar to go up, let’s give the rest of him something to do rather than attempting to manipulate the bar path mid-lift. Give a body cue, not a bar cue. If you think about it for a moment, you’ll realize that you don’t really want any horizontal movement of the bar at all, and that’s what you’re asking the lifter to do by cueing “BACK!” at the bar path. A press that has started forward will not go up, can’t be saved, and fails too quickly to cue anyway. The “BACK!” cue is typically given when the lifter has pushed the bar to about eyebrow or forehead height and the bar has stuck in that position. What you really want is for the lifter to keep the bar over the shoulder joint. The bar may be going up in a perfectly straight line, but if the shoulder moves further back from the bar, the bar will stick and the lift will miss. By instructing the lifter to keep the shoulders under the bar, and maybe poking the front of the AC joint so that they know exactly what you mean before the lift starts, you give the lifter a task to complete under the bar that is separate from the job of pushing the bar straight up. You are helping the lifter manage his body position under the bar as he pushes rather than trying to affect the push against the bar that is only going to happen in one direction anyway. Instead of yelling “BACK!”, after appropriately instructing the lifter and yelling “SHOULDERS!” or some other appropriate body cue will keep the lifter close to the bar and help his upward drive with the hands result in bringing the shoulders under the bar. If you’re a lifter whose presses get stuck in the same spot when they’re heavy, before you get under the bar, visualize maintaining a bar path directly over the shoulder joint the whole way up. You already know how to push, and using this method will put the rest of your body in the right position to lock the bar out at the top. Try this the next time you press or coach the press. Instructors Nick and Virginia demonstrate the proper technique and application for a headbutt! Here’s our approach to dealing with a choke. The defense is simple and works from any direction. The key thing to understand, though, is that learning self defense is not about acquiring a collection of techniques. It’s about managing the threat you’re presented with. The threat isn’t the choke (you can break a choke fairly easily), the threat is the person choking you. Our focus is on dealing with the fight after defense. The ATTACK part of “Defend + Attack”. We’re excited to be able to offer a one-day training course on first aid after a serious injury when help may be delayed in getting to you. You’ll learn how to use commercially available first aid supplies and what you need to start your own individual first aid kit. Space is very limited. Sign up soon! New schedule starting Monday, September 11. We’re excited to offer a ground fighting class starting Monday at Defense Krav Maga. The class is open to everyone and will teach you basic position, submissions, and grappling strategy. We’ll use elements of wrestling, Brazilian Jiu Jitsu, MMA, and Krav Maga to put together a simple, but brutally effective ground fighting program. Contact us using the form below to schedule a trial Krav Maga class! Defense Krav Maga is open! In Precision Striking class, you’ll work on the art and skill of punch, knee, and kick combinations from boxing and Muay Thai. This will be a fast paced, 30 minute class where you’ll learn to hit, move, and defend. Fill out the form below if you have questions or would like to set up a trial class. Defending yourself requires that you are able to make an aggressive and violent counterattack. This is one of the ugly realities of self-defense and this is the truly hard part for nice, normal people living in the real world. Come train with us and we’ll teach you how to make an ugly face, hit hard, and go home safe. 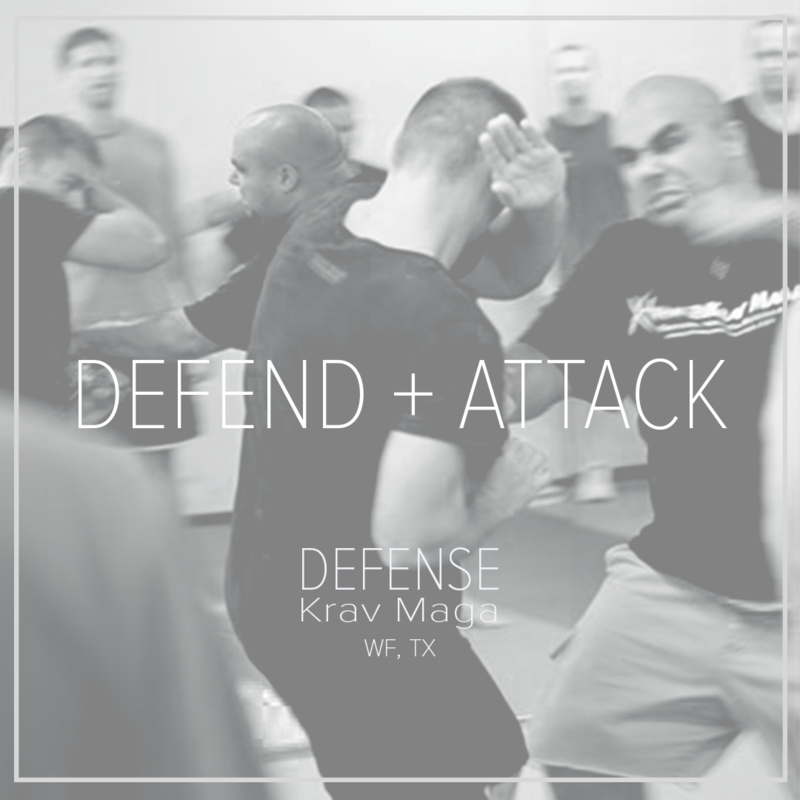 Krav Maga classes run on Monday and Wednesday at 5:30 PM at Wichita Falls Athletic Club. Contact us below for more information. We look forward to seeing you! Regular Krav Maga classes will be held at Wichita Falls Athletic Club on Mondays and Wednesdays starting Monday, May 15th. Class will run from 5:30 PM to 6:30 PM. Beginners are welcome! Fill out the contact form below for more information. A loud minority of Internet Fitness Experts (IFEs) are busy proliferating the idea that the squat is of limited use and, in some cases, downright dangerous. Some assert that the squat is an advanced movement, potentially requiring upwards of 60 corrective exercises for the fixing of movement deficiencies before actually learning it. Others dismiss it completely since they’re not interested in being powerlifters, muscle-bound, or injured, while some just want to focus on aesthetics and more quad development, or any number of other reasons they can find to avoid squatting. Nothing mobilizes the IFE more than the posting of the recommendation for older populations to strength train using barbells. A photo or video of a 60+ year old lifter with a bar on their back or in their hands produces predictable outrage at the stupidity of such an endeavor, and a demonstration of a Starting Strength Coach expertly guiding a healthy 72-year-old guy through a modified squat teaching progression results in accusations of gross irresponsibility on the part of the coach. While most of these things don’t require rebuttal or even comment, there are a few general themes pertaining to the squat that come up repeatedly in the context of the training of older populations. Specifically, why they shouldn’t squat, or why a different, squat-like exercise, would be safer or better. This is the most common reason someone gives for either why he or she can’t squat, or why another person can’t squat. In the elderly, IFEs argue that the lack of muscle extensibility around a joint has produced a situation in which the person couldn’t possibly squat safely. The proof is in the fact that the elderly trainee looks shaky on the way down into the squat or off the box, and that they can’t reach full depth. When people don’t go below parallel, it’s for one of two reasons. They either have never been coached to do so, or they aren’t strong enough to achieve the range of motion. It’s never due to mobility, in the absence of significant anatomical abnormalities. The former can be fixed by proper coaching. The latter is fixed by getting the trainee stronger with a leg press and takes a short time, although the timeline can be quite a bit longer depending on how deconditioned the trainee is. For the worst cases, a high box will be used, then progressively shorter boxes until the squat is below parallel. Then the squat is loaded with hand weights and then a barbell. The point is that squatting correctly and getting stronger takes care of the mobility argument. No amount of “mobility work” will get someone to squat correctly. Coaching and getting stronger will. To the IFE, tweaking your back when you’re old is the worst possible thing that could happen. Surely, it’s safer to use a front squat or a goblet squat since old people are frail and their spines will snap at any moment. It’s irresponsible to load an old person’s back with a bar and tell them to lean over so that they squat with their hips. Just look at all the shear! This silliness comes from a fundamental misunderstanding of the mechanics of a loaded barbell squat and of the stress, recovery, and adaptation cycle. Yes, nearly the entire skeleton is under compressive and moment force in a squat. I lack the knowledge of structural engineering to be able to explain this in sufficient detail, but I can tell you that a look at the structures of the vertebral bodies, the ligaments, tendons, and muscles surrounding them, and their arrangement, all strongly suggest that force transferred through the back segment held in normal anatomical extension is transferred in compression. Moment force is a “shear force,” but “shearing” – sliding along a plane – does not occur in a normal spine. For a normal spine to fail in shear, a significant force is required to overcome the overlapping nature of the pedicle/facet joints and the soft tissue surrounding them – something like those encountered in a car accident. Open up your copy of Netter and take a look. Yes, we do want the lifter to lean over. We want them to use their hips and stress their backs because these are the structures that need the strength adaptation. Compressive force on the bones is exactly what we’re looking for, especially in an older trainee. Even though the rate of adaptation is significantly blunted in advanced age, adaptation still occurs and the benefits that come from loading the entire skeleton with the most weight possible, over the longest effective range of motion, and using the most muscle mass possible are critical to those who are fighting to maintain not only muscle mass, but also independence in their late years. 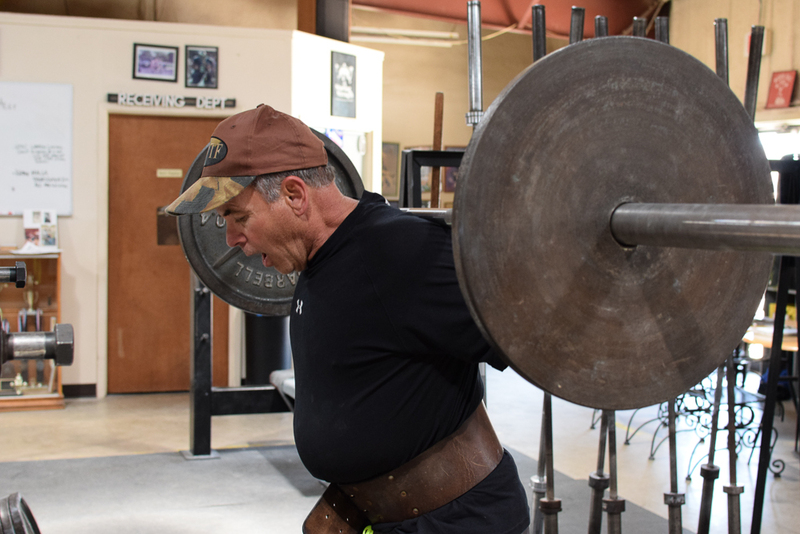 The last most common accusation in defense of suboptimal exercise prescription in lieu of squatting is the inherent danger and complexity of the squat – failing, of course, to take into account the fact that nobody gets under a bar and tries to squat 405 on their first day. Folks over 60 years old are typically risk averse and are the LEAST likely to attempt something they physically are incapable of doing, unlike 17-25 year olds. The first day for an older trainee will be very similar to the first day for a person in their early 30s. They will figure out what their starting loads will be and those loads will be appropriate for them. The guy who is 30 may squat 175. The guy who is 70 may squat the bar. And the guy who is 85 may have to squat to a bench. All of them will squat, though, and they’ll increase the stress a little bit every workout initially. And they will all get stronger. The difference is that the 30 year old will add hundreds of pounds to his squat during his training career, while the 85 year old will work hard to squat with a few plates on the bar. Starting Strength Coaches have trained thousands of individuals, a very large percentage of which are older than 50. The SSC understands that the body responds to stress by adapting, and understands a model of loaded human movement that allows for the efficient acquisition of strength. Since they have such a deep understanding of the coaching model and of the programming model, they are undoubtedly in the best position, with the best tools, and with the most experience to be able to apply these principles via effective training, even if the methods require modification from time to time. Discussion and critique is always welcome, but it’s time for the discussion to shift more toward the advancement of the universally useful strength, recovery, and adaptation principle and how to effectively put it into practice. Our Krav Maga seminar series held at Wichita Falls Athletic Club kicks off this Saturday, December 17th with a sold out event. Due to the high demand, we’ll offer a seminar every month. Each seminar will offer a different focus, but the training principles will remain consistent. You will be able to learn and make progress by attending these seminars once a month! Look for pictures and videos from this weekend’s seminar soon! The Highlander Public House in The Falls. Cool place on the bottom floor of an abandoned hotel. They have furry rocks in New York.